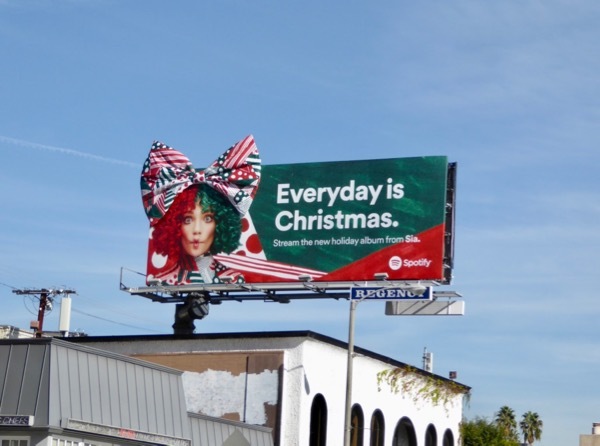 If you're looking forward to a jolly holiday season, then here's a good start for putting a festive smile on your lips courtesy of Spotify and Sia's first-ever Christmas album. 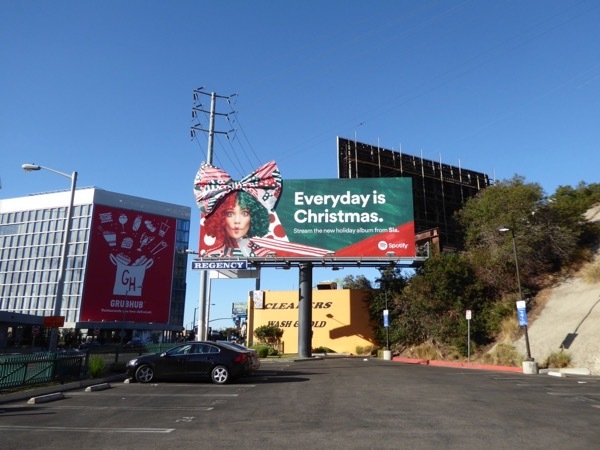 These fun billboards with their head-turning festive wrapping paper 3D bow embellishments really help deliver a burst of red, white and green Christmas colours to West Hollywood's rocking Sunset Strip. 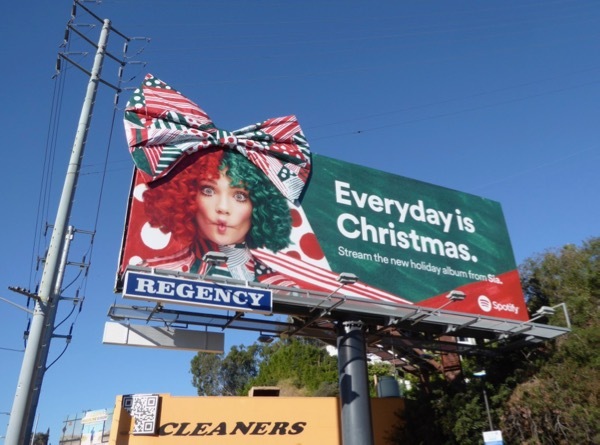 The artwork is taken from the new holiday album cover for Everyday is Christmas, and features Sia's constant dance and video collaborator Maddie Ziegler. 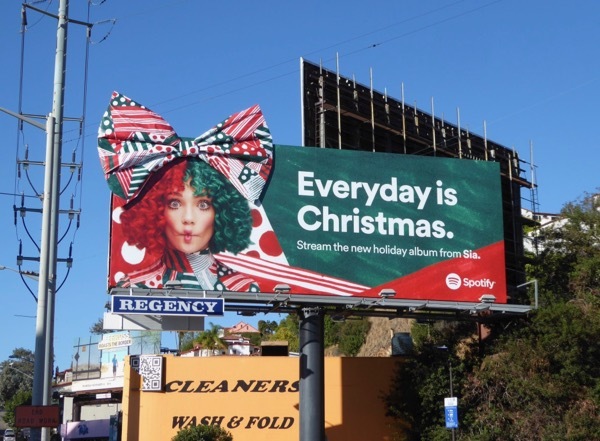 The festive record features tracks like 'Underneath The Christmas Lights', 'Snowman', 'Candy Cane lane', 'Snowflake', Ho Ho Ho', 'Underneath The Mistletoe' and 'Puppies Are Forever'. 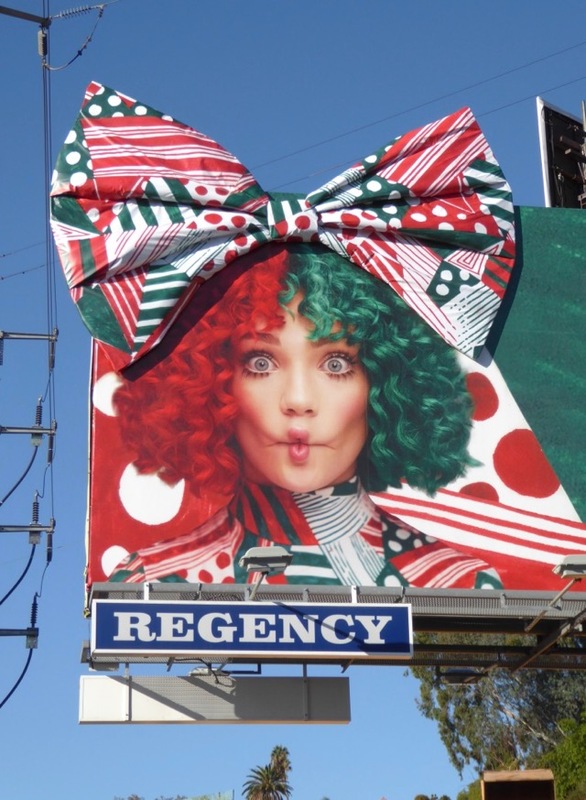 These special giant-sized 3D bows for Sia's new holiday album billboards (created by Atomic Props & Effects) were snapped westbound along West Hollywood's Sunset Strip on November 18 and eastbound along Sunset Boulevard on November 28, 2017. 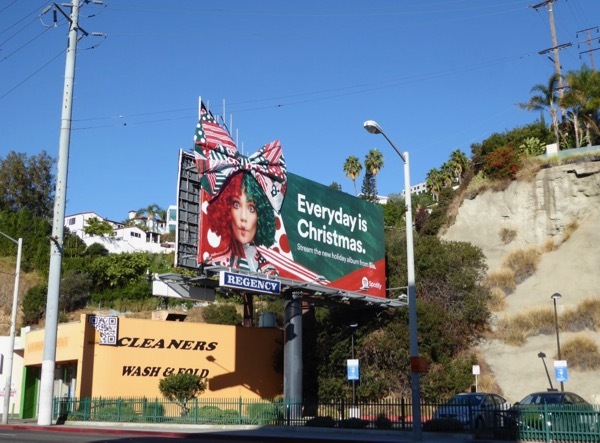 For more fun music-themed outdoor ad examples, be sure to also check out this American Music Awards glittering lips billboard, this glowing devil eyes billboard for Queens of the Stone Age Villains album and this singing and dancing billboard installation for Grease Live! 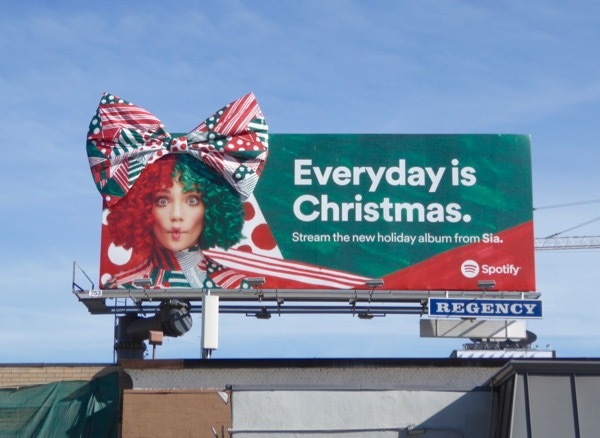 Let's hope Sia's tunes can spread some joy and goodwill to all people this festive season, and help us prance and jingle all the way to Christmas Day!